“Game Changers” – Collegiate Alumni Athletes for Change – are Northwestern University alumni and former athletes from 6 different decades that have formed to advocate for common sense reforms to help Northwestern University set a standard and benchmark for NCAA institutions with scholarship athletes in revenue producing sports. 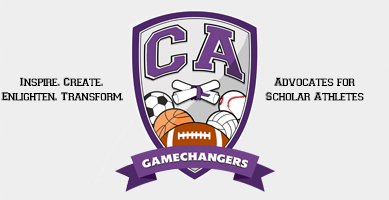 The group, better known as “Game Changers”, formed out of a concern for the equity and well being of scholarship athletes of revenue producing sports at Northwestern University. On April 24, 2014, one day before the Northwestern University football team votes on the question of unionization, the group will announce a framework to create a blueprint for policies and proposals that could enhance the on and off field experiences of scholarship athletes. “I believe that this group can help make a great University even better,” said former All-Pro and 7-time NFL Pro-bowler Chris Hinton, a 1983 graduate of NU and member of the group. The amazing revenue growth of college football at Northwestern University (NU reported $235 million in football related revenues from 2003 to 2013), and at other Big Ten schools over the last 10 years creates opportunities to enhance the health and lives of college football players and their families. Northwestern University has one of the top football programs in America with one of the highest graduation rates. Confirmed Attendees: Pat Harrington ’69, Rick Telander ’71, Chris Hinton ’83, Todd Jenkins ’84, Alex Moyer ’85, Kevin Brown ’85, Jared Carpenter ’13. For more information on the “Game Changers” Collegiate Alumni Athletes for Change, contact spokesperson Kevin Brown at 847-859-9340 orinfo@nugamechangers.com.